Hotel booking is another integral part of our service. So, we can book you a hotel in Kathmandu and other cities in Nepal as per your choice from small to luxurious five stars hotel. The small hotels include popular affordable budget hotels with breakfast also having their unique identity. Although some hotels offer discounts on their rates too, it depends on the low and high season. Certainly, Nepal has a wide range of tourist class accommodation throughout the country. They include from high-end five-star to mid-range family friendly hotels or backpacker friendly lodges or guest houses. Similarly, trekkers have teahouse facilities in most of the popular trekking routes in Nepal. Besides, there are local home staying options available in the rural areas of Nepal which are rich in natural and cultural resources. Standard accommodations are available in the popular tourist towns of Kathmandu such as Thamel, Boudha and Freak Street around Kathmandu Durbar Square. Small budget hotels are available in Patan and Bhaktapur also. The standard accommodation generally includes toilets and showers. However, there are options of room categories with heating system as well and may cost slightly higher. Most hotels generally offer room with breakfast (referred to as ‘bed and breakfast’ basis). It is advisable to book the room in advance if you are travelling during peak season. 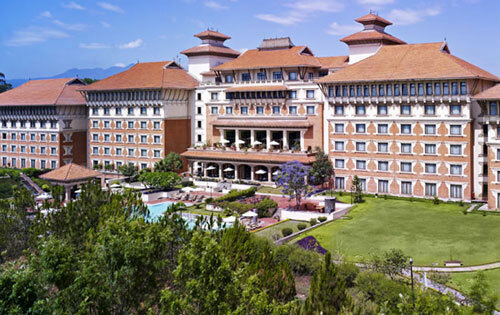 Spring and autumn are the major tourist season in Nepal while hotels work at nearly full capacity. Therefore, it would be a good idea to book the accommodation early in advance. The hotel rates apply 10% Service Charge and 13% VAT additionally.